Bay Area Pet Pals owner, Lynda Mortensen began with “Super Scoopers” in 1989. Her business was one of the first doggie yard clean-up services in existence. Shortly after opening, word spread that such a service existed. “Super Scoopers” was soon asked for interviews on station KNBR 68’s Frank and Mike radio show, the Alex Bennett show on KMEL and several other local stations. Eventually, Steve Rubenstein, reporter for the SF Chronicle, heard of the service and asked to ride along for a day. He wrote a full column about Lynda’s business and her service for pets. As the “Super Scoopers” business grew, customers asked for more. “Super Scoopers” then added pet and house sitting services, pet food & supply delivery, dog walking and pet taxi services. 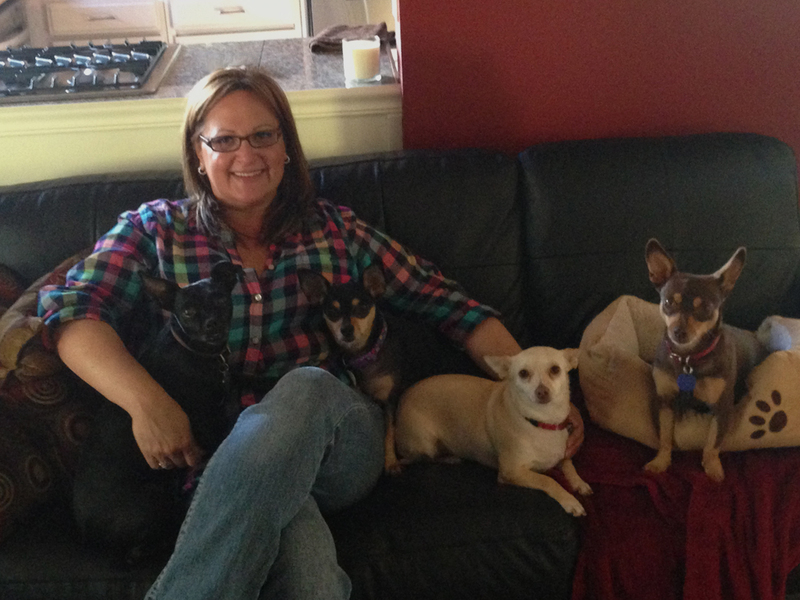 After taking a few years off to raise a family and succeed at other endeavors, Lynda and her crew are ready to share their experience and expertise in pet care once again – as Bay Area Pet Pals! Lynda knew at an early age that she would eventually work with animals. As a child, she was always the one to bring home various stray animals or take in pets that friends could no longer keep. After high school, Lynda attended school for veterinary assistants. She eventually realized that a daily dose of suffering and sick animals would not be the best way to share her love of pets. Lynda completed volunteer work for a few local animal shelters, and ended up adopting many pets with the hope of saving them from euthanization. Unfortunately, it proved to be stressful and she stopped after taking home 13 cats and four dogs. 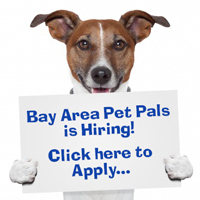 Bay Area Pet Pals is Lynda’s dream of working with animals on a daily basis. It is a joy for her to assist people with their loved pets. She gets a daily pet “fix” and loves every minute of it. 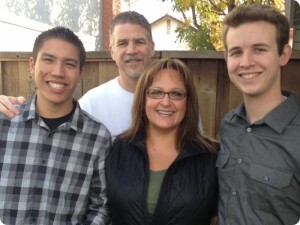 Lynda’s husband, Eric, works for a commercial property management company in Menlo Park as the Controller. In his spare time, he shares Lynda’s love of animals and occasionally helps with Bay Area Pet Pals customers. Lars and Anthony also love animals. 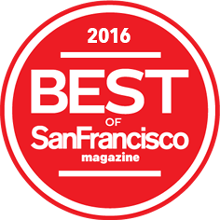 They have many years of experience caring for their own pets as well as working for Bay Area Pet Pals during school breaks. Oldest son, Lars, graduated UC Davis in 2013 with a degree in Mechanical Engineering with a 4.3 GPA. His new career will be designing HVAC systems for a large company in the Bay Area. Lars is also an Eagle Scout, and Lynda and Eric are very proud of his achievements. Lars’ love for the family pets and the outdoors means he is a great help with Bay Area Pet Pals when he is available. Youngest son, Anthony, graduated Carlmont High School in June of 2012 and is currently enrolled at a 4 year CSU and enjoying his classes and the dorm life. He has over seven years of experience playing alto saxophone with his school’s band and taught himself how to play the guitar. Anthony was also a Boy Scout and has proudly attained the rank of Eagle as of November 2011. His love of the outdoors and pets also make him a great help with Bay Area Pet Pals whenever extra hands are needed on school breaks.